I don't read very much horror fiction and people get really mad at me because of this. Usually people grab me and shake me and yell things like, "Goddamn-it Andre, why can't you just read horror fiction like every other horror fan in the world? ", except they say it really angrily and then kick me and laugh. Oh fine, I'm kidding, but sometimes I feel like people EXPECT me to reads lots of horror fiction or Sci-Fi or what have you and instead I'm reading Watership Down or Harry Potter for the 500th time (speaking of which it's almost time for my annual re-reading. Hooray!). Here's the thing about my reading habits. I like reading, period. I don't read a lot of Stephen King or Anne Rice or....those other people that write horror fiction because I don't love it. It's not my thing. I DO however enjoy great writing that is really dark, that is definitely my thing. I like magical realism, I adore Murakami and I love Neil Gaiman. I like "normal" books too but I just prefer things that are neat. Like talking cats. In keeping with the darkness theme, today I'd like to talk about an author that often gets overlooked by fans of horror fiction and dark, creepy novels. I love him and I'm sure many of you do as well. 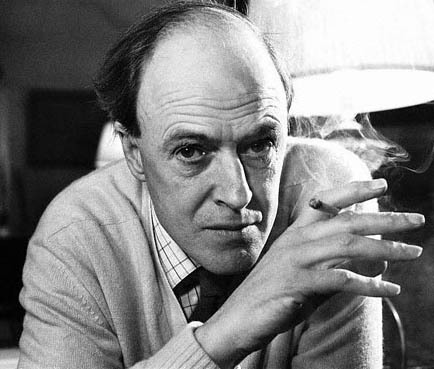 I speak of Roald Dahl, a man who probably scarred you for life at some point during your childhood. I myself was never the same after reading The Witches, The Twits or The BFG. I was unusually suspicious of all old women (except my grandma..love you Gram!) and had trouble sleeping at night as I envisioned giants running about town and peering into my window. Roald Dahl was like an unstoppable cloud of creative genius. He wrote stories that stuck with you long after reading and stories that always popped into your head at the most unlikely of moments. If you've read any of his work it's easy to see that the man has a soft spot for slightly darker themes. Even though he mostly wrote children's stories, it didn't prevent him from tackling the ever pressing subject of witches turning children to mice. Some people however do not always realize that Roald Dahl also wrote adult fiction and it is these stories that bring some of the darkest ideas and realities to fruition. These stories are the ones that would go on to inspire some of the staples in many a horror fan's life and most of us today do not even realize it. Perhaps the most well known of these is a short story called Man From the South. You can read the story here! It's about a peculiar man who has a habit of of betting young men something that they can always afford. The man bets a young gentleman that he cannot light his lighter 10 times in a row. If he can, then he wins the man's Cadillac parked outside--if he cannot do it, then he loses a finger. I won't spoil the end but I will tell you that it gives me chills each and every time. The story was adapted into an episode of Alfred Hitchcock Presents which starred Steve McQueen. It was also adapted a second time in the 1985 version of Alfred Hitchcock Presents. Quentin Tarrantino was obviously inspired by it as well as he pretty much adapted it for his segment in Four Rooms entitled The Man From Hollywood. The same goes for Chanwook Park who used the story as inspiration for his segment of Three Extremes entitled Cut. My personal favorite nod however comes in the form of Tales From the Crypt. One of my earliest horror memories came when my father was watching an episode entitled Cutting Cards on TV. I watched it from behind my hands and was traumatized for years. It stars Lance Henriksen and Kevin Tighe as gamblers who despise each other. The hatred eventually leads to a game of poker where the loser gets his finger chopped off right at the table. Imagine how thrilled I was to finally track this episode down , watch it and learn that A. Lance Henriksen was in it and B. that it most likely came to be thanks to a story by Roald Dahl? The answer is E. Extremely excited. So as you can see, Roald Dahl is more important to our genre than we ever knew. I'm still on my way to reading more of his adult stories and I'm loving every minute of it. 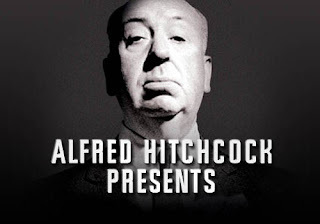 By the way, another of his stories Lambs to the Slaughter, was also adapted into an Alfred Hitchcock Presents episode. I guess my favorite director has a thing for one of my favorite writers--a match clearly made in heaven. I encourage you all to seek out Roald Dahl and relive some of the best and most imaginative writing out there. Anne Rice? Pish posh! Long live the Dahl! Wonderful post. It’s funny too because just the other day I was talking with a friend about the book Charlie and the Chocolate Factory and mentioned that parts of it startled me when I read it as a kid in grade school. My friend, who had never actually read the book, thought this was the most ridiculous thing he had ever heard and said I must have been a real wimp back then (he also kept telling me I had the title wrong - sigh). Now, however, I know I’m not alone when it comes to having been chilled by Dahl’s writing. Roald Dahl is REALLY overlooked by audiences of all genres!!! He wrote the scripts for several James Bond movies, including You Only Live Twice. When I'm talking to people who think Dahl is 'uncool', I just tell them that everything iconic from the Bond genre-if not the entire Spy genre-from the cat-stroking villains and their last-minute getaways to massive firefights inside extravagant bases all came from the mind as the guy who wrote Charlie and the Chocolate Factory! As for his adult fiction, holy crap is it adult!!! I was actually lucky back in school because a teacher actually read Lamb to the Slaughter for the cclass!! Now that story is the kind of Dark-Comedy that even my prudish mother enjoys! who are these loonies saying that Roald Dahl is "uncool"???! Growing up I practically had a shrine to Roald Dahl, I had an entire shelf dedicated to his works. I still have all those books and have expanded to his more "grown up" works. Simply a fantastic person and a underrated writer. It's dumb people (usually teens) trying to be hip and think that Dahl's books are only child-exclusive and therefore 'uncool'. Andre, have you read any novels by Cliff McNish? He's another British writer who is taking the anti-sentimental route and producing Horror. He kind of disgusts me, but I hear he's really scary. I remember reading your comment I think, how strange! Have not read/heard of Cliff McNish but I will now have to seek him out and research! Just as I thought: when Blogger crashed, it took the comment down with it. =S Ah, well. At least I got to mention McNish the second time around.